We are pleased to announce the launch of Micromax brand new eStore! With all hard work and dedication, we are delighted to officially announce the launch on May 18, 2017. The new site is available and the URL is store.micromaxinfo.com Store currently. 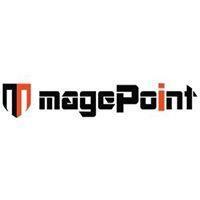 magePoint is a leading Magento eCommerce solution provider based in India. We have expert specialization on various aspects of eCommerce development such as designing, developing, support, marketing and analytic. We provide the best eCommerce solutions to our clients across the globe.